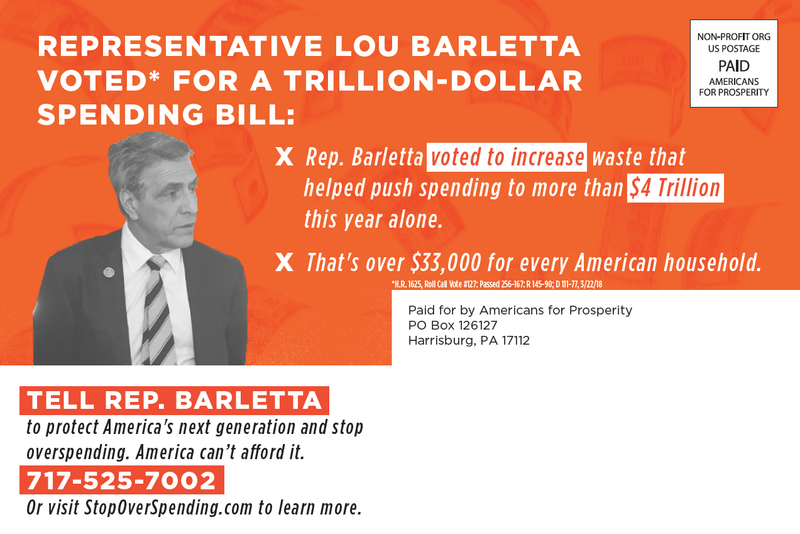 Harrisburg, Pa. – Americans for Prosperity (AFP) today announced the start of a major campaign that will hold accountable Reps Lou Barletta and Matt Cartwright for their records on wasteful spending. AFP’s Stop Overspending, or S.O.S. campaign, will kick off during the Memorial Day congressional recess with a significant six-figure radio, print, digital and direct mail effort targeting House Republicans and Democrats on spending – specifically their support for the $1.3 trillion March omnibus package – while they are home in their districts. The first wave of this campaign will also include ads thanking lawmakers who opposed the package because of its reckless spending. LISTEN TO RADIO SAMPLE HERE. The effort will feature a video and website, www.StopOverspending.com, to inform the American people about the importance of reducing excessive and out-of-control federal spending and urging them to tell lawmakers to control Washington’s spending problem. The recent $1.3 trillion omnibus spending bill pushed total Washington spending above $4 trillion annually the first time and failed to make any reforms to entitlement programs, which are the major drivers of the national debt. While tax reform was a win for hard-working Americans, AFP has long-advocated the importance of pairing tax cuts with spending restraint to grow the economy and improve the lives of all Americans. Fiscal year 2019 spending legislation, which will be considered later this year, will be the last chance before the midterm elections for members of Congress to prove that they can be trusted stewards of taxpayer dollars. AFP views the fall spending debate as a critical test for lawmakers and will be engaging grassroots activists throughout the summer to hold both parties accountable for reckless spending and stress the importance of getting spending under control. Congress isn’t exactly known for its frugality or responsible spending. The recent $1.3 trillion omnibus package is an obvious example. As a result of the measure’s passage, total federal spending this year will reach $4.1 trillion, with the greatest spending coming from entitlement programs. If Congress does not take immediate action, the deficit will hit $1.5 trillion in the next decade. Thankfully, funding approved through the omnibus bill has not yet been spent. Congress still has an opportunity to reduce the growing debt – by passing President Trump’s proposed rescission package. These cuts to discretionary would be a positive first step toward responsible federal spending – and the least lawmakers in Washington could do ahead of the next federal budget deadline. Americans for Prosperity recently released a report highlighting more than $45 billion in wasteful spending increases from the omnibus bill that could be eliminated through rescission. Congress must act now — while the opportunity still exists — to pass a rescission package that will slow the growth in spending while saving current and future generations of taxpayers billions. By starting with the passage of President Trump’s proposed rescission package, lawmakers can show they are serious about tackling overspending. This in turn will set the stage for more meaningful reforms ahead of the FY 2019 budget. It’s time to get federal spending under control. Tell Congress to pass President Trump’s rescission package as soon as possible! If Clinton’s description of Democrats is correct, then she is not a Democrat because she doesn’t fit the description. Either that, or Clinton is displaying the pomposity that turns people away from politics. If such a Republican were to say that, then Democrats would scold the Republican for doing so. 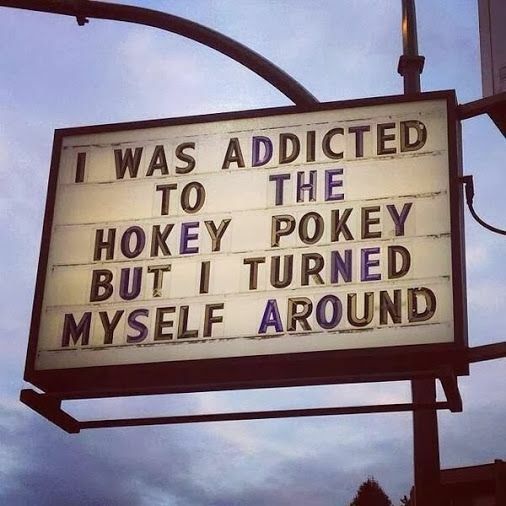 I would, too. In a previous post, I say that some people have made politics their religion, which why so may politicians and political pundits have a holier-than-thou attitude. Folks, no political party has a monopoly on truth, evidence and facts. If the Greek goddess Nemesis were real, then more than a few politicians and political pundits would feel her wrath. A scene in an American cartoon summarizes the current state of U.S. politics. 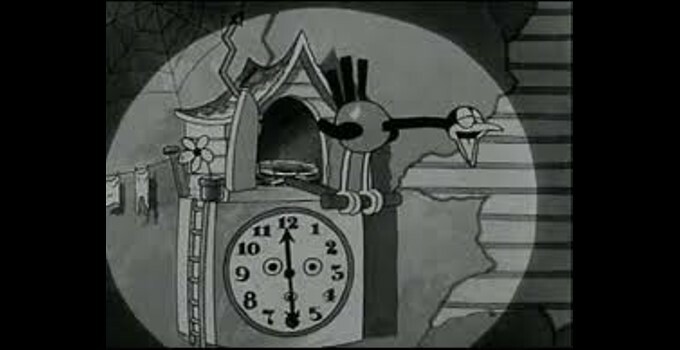 In the scene, the show’s main protagonist declares, “Everyone’s gone cuckoo,” while running through mayhem. I want to say to every politician and political pundit . . . The back-and-forth bickering between politicians and between political pundits reminds me of two statements in the Tanakh: “all have become corrupt” and “there is no one on earth who is righteous“. Of course those statements in the Tanakh apply to me, too, which is why I frequently confess my fallibility. Only a fool would claim that he is correct every case. Anyway, during my blogging sabbatical, I pondered about the reasons for the political mayhem. I noticed that certain Americans use politics to advance a religious agenda. Such people want their religious beliefs to be made into federal law. For example, the push to outlaw same-gender marriage is religious in origin. I also noticed that politics is the religion of some Americans. Even people who say that no god exists will use politics as their religion. Compromise is a necessary component of politics, but compromise runs afoul of the absolutism that is common in religions. So, when politics becomes religion, mayhem takes over, and not even Allstate can insure against it. We can’t eliminate politics from society. We can’t just tell it to go away. What we can do is to get away from politics as much as possible. As for people who are addicted to politics, they need to attend 12-step meetings for their problem. Question: What is the difference between a Muppet meeting and a congressional meeting? Have you spoken with a friend, family member or neighbor about tax reform lately? The passage of the Tax Cuts and Jobs Act was a historic victory for millions of everyday Americans. Hundreds of companies have responded to tax reform by increasing pay, expanding worker benefits, giving out bonuses, planning new investments at home and creating new jobs. Sadly, there is a LOT of misinformation about tax reform floating around! Opponents are dead-set on undermining the new tax law and rolling back its benefits by spreading myths about it. While opponents of tax reform claim it will hurt working-class families, the facts tell a different story. The U.S. Treasury Department estimates that 90 percent of wage earners will see more take-home pay. Many Americans already are seeing bigger paychecks. According to the House Ways and Means Committee, a typical family of four earning $73,000 will see a tax cut of $2,059. That’s more money in the pockets of families to save, spend or invest. The nonpartisan Joint Committee on Taxation estimates that every income group will receive a tax cut. Tax reform opponents frequently tout a misleading claim: they say tax reform mainly benefits the wealthiest 1 percent. Here’s the problem: The claim assumes the tax cuts for the individual tax rate will expire in 2025. This assertion completely ignores the major tax breaks Americans will have received up until that time. Opponents of tax reform claim the law is a corporate giveaway, rewarding companies that ship jobs overseas, while Americans at home lose. In reality, tax reform helps American workers win. They benefit from a lower corporate rate that makes American businesses more competitive. Lowering the corporate tax rate has received bipartisan support in the past. In fact, Senate Minority Leader Chuck Schumer, House Minority Leader Nancy Pelosi and Sens. Claire McCaskill, Joe Donnelly, Heidi Heitkamp and Sherrod Brown have all previously supported cutting the corporate tax rate. Even President Obama called for corporate tax reform. Thanks to tax reform, American companies are more optimistic about growing their businesses. Companies are even starting to bring jobs back to the United States. The Council of Economic Advisers estimates the lower corporate tax rate will grow the economy and lead to a $4,000 annual wage increase for American workers. Tax reform doesn’t just mean lower taxes – it means more investment across the economy, more jobs, and higher wages for millions of Americans. Tax-reform opponents blame the law for company layoffs and store closures. The truth? Tax reform has been in effect only since Jan. 1, 2018. Layoffs have been years in the making. The tax law is meant to help American companies become more competitive, but changes to the tax code aren’t magic. Tax reform cannot save individual businesses that have been declining for years. Historically, economic growth following tax reform has resulted in more tax revenue for the federal government, not less. After the bold tax reform measures enacted by Presidents Kennedy, Reagan and Bush, the United States added millions of jobs, Americans took home more money and the economy grew. This led to hundreds of billions in higher tax revenues. Tax reform opponents have expressed concern over deficits and the national debt when it comes to tax reform. Yet those same vocal opponents of tax reform due to “debt concerns” supported a “bipartisan budget deal” that raised spending by $300 billion over the next two years. That same “deal” contained billions in special interest tax breaks that could result in a $1.5 trillion federal spending increase over the next decade. Thanks to tax reform, otherwise known as the American Pay Raise, many Americans are experiencing a surge of new economic growth and keeping more of their hard-earned paychecks. Now we need YOU to spread the good news! AFP wants to empower you with the tools you need to set the record straight. Please share the truth about tax reform’s benefits with your friends and neighbors. Then, urge Congress to take steps to make the tax cuts permanent and protect the benefits we’ve seen from the American Pay Raise!